Goats To Go “Goatscaping”. 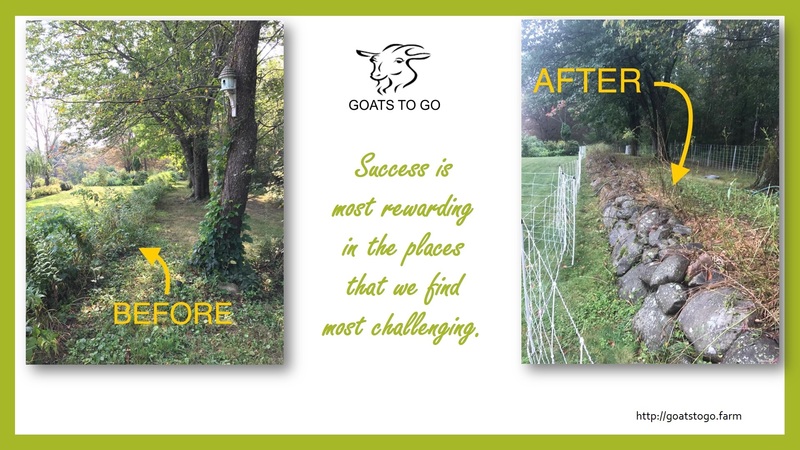 Book now to have our Goats to Go to your property, farm, recreational center for poison ivy and brush clearing. If you have grass that needs trimming we can also bring some sheep to help take care of those needs. No job too large or too small for our goats to handle! Sheep-Mowing. 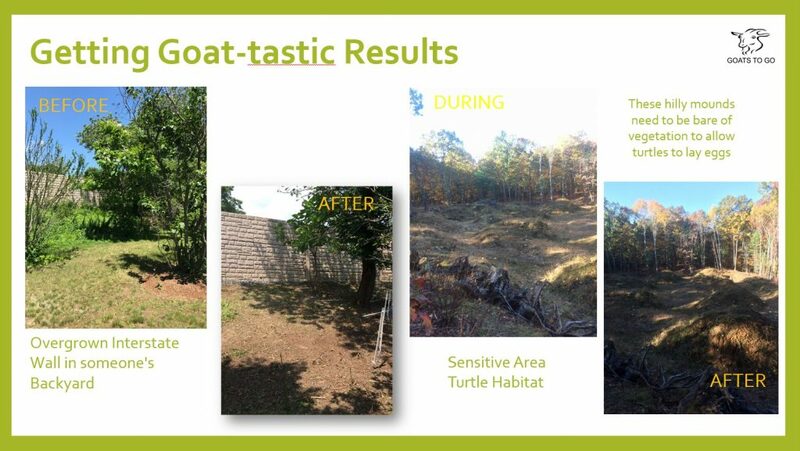 Book some our goat friends, the Katahdin sheep, for special grass trimming at your solar farm, transfer or processing plant, large fenced in backyard, or town recreational park. We are seeking opportunities for long term/repeat job locations. 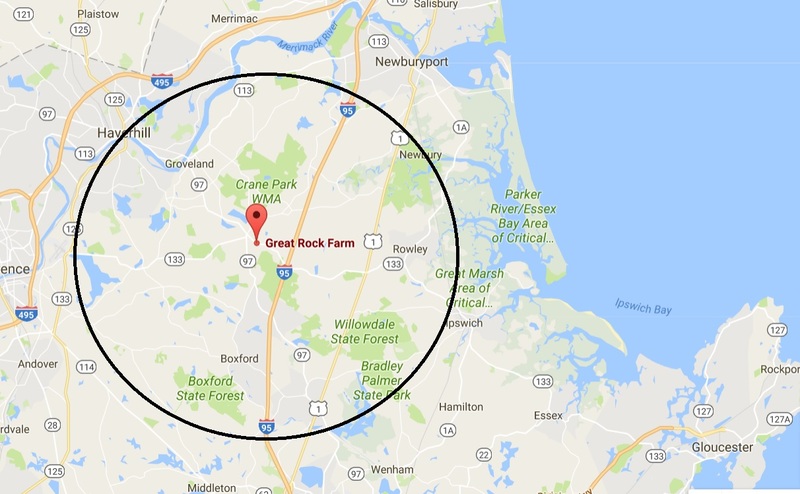 Service Locations: Towns we support include, but are not limited to: Georgetown, West Newbury, Newbury, Newburyport, Boxford, Groveland, Haverhill, Bradford, Methuen, Amesbury, Ipswich, Gloucester, Seabrook, Sailsbury, Middleton, Peabody, Danvers, Lynnfield, Merrimac, Plaistow, North Andover, Andover, Lawrence, Rowley, Hamilton, Essex, and more by request. Goat Yoga & S nuggle: on the Farm. 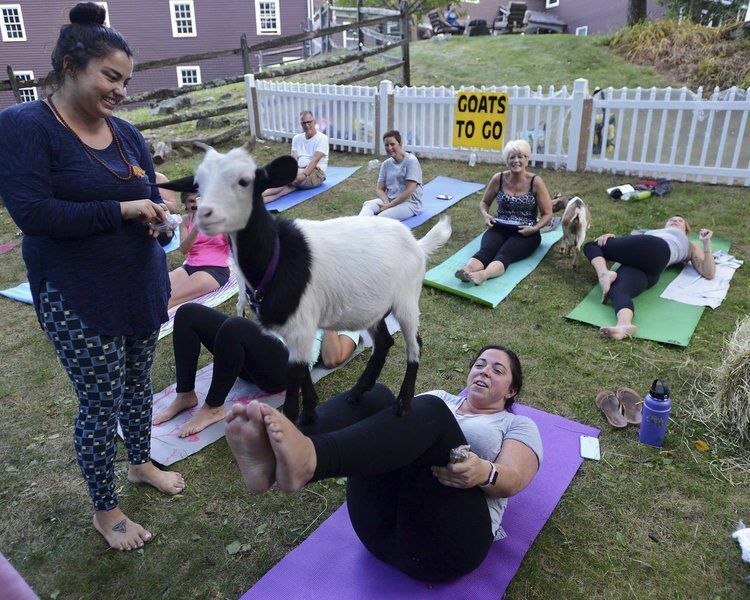 Baby Goats + Yoga + Farm = Out of this World Experience, no prior yoga (or goat) experience needed. See our Class Descriptions Page or our Event Page for more information. Other Services. Available upon request. Custom Quotes: All quotes are custom per a job, depending on your needs, to ensure that you know exactly what you will pay. We can use both goats and sheep as well. We work with you, and we often stun our customers who LOVE what these friendly goats do! For quotes/inquiries Call/Text Alan at 508-451-1987 (please include “Goat” your name and number). SETUP COST: started at $500.00* with the circled area (see map). Outside circle (see map) or special requirements to be quoted separately. Setup includes delivery, setup of fences, set up of animal support, water, etc, and pickup. SITE VISIT: Required for better job estimating. We will need to visit the site before we arrive to determine conditions and geography. Sheep Fence: We use an electric net fence which is installed around area to be targeted. This keeps the good guys in and the bad guys out. Goats come with a trailer, which if the site allows, will be left for them, if not, other shelter will be evaluated. Utilities and Shelter: We prefer to use a hose from domestic water and connection to an electrical outlet, but we have batteries and a water tank on board if necessary. We need to know ahead of time to plan. Dangers: The biggest danger to the goats is domestic dogs. That cute little dog can become a predator when not supervised even when you think he’s just playing. Their presence also scares goats. ** Some plants are poisonous and need to be avoided. We will do the best we can to identify what we can during our site visit. Plus goats are smart and usually don’t eat what they don’t like. We do what we can to ensure a safe location for the animals while on your property. However, if stolen or harmed, the cost to replace them would be $300.00 per animal. If injured, it would be the cost of the veterinarian bill. Great Rock Farm — Established in 1978.